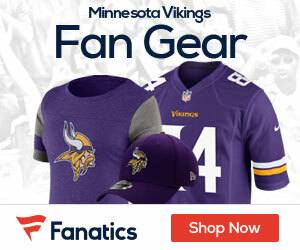 The Vikings took the liberty of working out a few players on Tuesday. The three players they looked at were quarterback Gibran Hamdan, wide out Taye Biddle, and defensive back Dejaun Tribble. 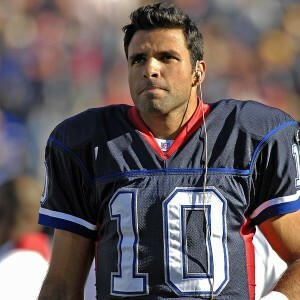 Hamdan played quarterback at Indiana before becoming a seventh round draft pick of the Redskins in 2003. Since then, Hamdan has played for the 49ers, Seahawks, Dolphins, and the Bills. The Bills released him in November when they opted to sign Brian Brohm from the Packers practice squad. Hamdan has thrown two passes in his NFL career, both of which were nearly seven years ago. Biddle played college ball for Mississippi and was recently a member of the Florida Tuskers, one of the UFL’s inaugural teams. The Tuskers went to the UFL’s championship game but lost. Tribble played for Boston College and was also a member of the Tuskers this year. With the UFL season ending recently, the Vikings obviously brought these guys in for a work out because the pro scouts saw something they like. It is highly unlikely that any of these guys even crack the practice squad, but it is nice to know that the Vikings are constantly searching every crack and cranny for a way to improve. It is possible that one or all of these players are on the roster prior to training camp next summer if the Vikings liked what they saw. Joe Porter who played defensive back for Rutgers and the UFL’s current Champions, the Las Vegas Locomotives, was also brought in for a visit but did not have a work out. That was a great pick up for you guys. Taye has amazing speed and is a great teamate.